Several people have been reportedly killed after suspected Boko Haram terrorists attacked Rann, the headquarters of Kala Balge Local Government Area of Borno State. It was gathered that some soldiers were also killed and a number of civilians injured in the attack which happened on Tuesday. In a report by AFP quoting Doctors Without Borders (MSF), the unfortunate incident was carried out by fighters of the Islamic State West Africa Province (ISWAP). During the process, a faction of Boko Haram targeted a military base in the town. The media report claimed that 14 people were killed including three soldiers, though the army is yet to officially respond. 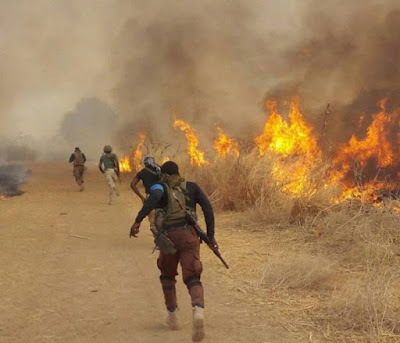 Rann which is located near the border with Cameroon, about 175 kilometers north of Maiduguri the state capital, has been targeted by insurgents in the past. On March 1, 2018, three aid workers were killed, and three others abducted in an attack on the town, forcing MSF to suspend its activities there. Another attack on an Internally Displaced Persons (IDPs) camp in Rann took place on December 7, last year, with the United Nations withdrawing its staff from the facility afterward.